You see the ads on TV and online, and you hear them on the radio: they tout gold as a solid investment. 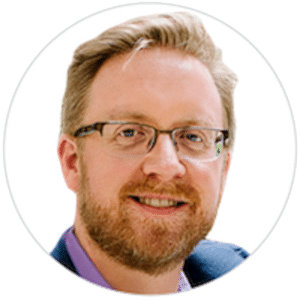 It’s true that people sometimes use gold to diversify their investment portfolio: it can help hedge against inflation and economic uncertainty. But how much gold to buy, in what form, at what price, and from whom, are important questions to answer before you make that investment. If you are interested in buying gold, do some digging before investing. Some gold promoters don't deliver what they promise, and may push people into an investment that isn't right for them. 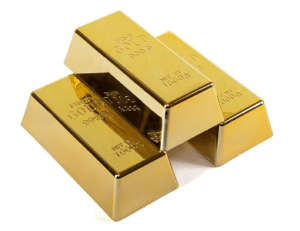 Gold Stocks and Funds – Buying stock in a gold mining firm or buying into a mutual fund that invests in gold bullion is a common way to invest in gold. Most brokerage firms buy and sell these financial instruments. Gold stocks and mutual funds may offer more liquidity than actual gold, and there's no need for an investor to store or protect gold investments purchased in this form. That said, any gold stock or mutual fund investment may carry inherent risk and may drop in value regardless of the price of gold. Gold stocks and funds should only be purchased from licensed commodity brokers. You can check the registration status and disciplinary history of any futures firm or broker by contacting the National Futures Association (NFA). Bullion and Bullion Coins – Bullion is a bulk quantity of precious metal, usually gold, platinum, or silver, assessed by weight and typically cast as ingots or bars. Dealers and some banks and brokerages sell bullion. Bullion coins are struck from precious metal – usually gold, platinum, or silver – and kept as an investment. They are not used in daily commerce. The value of bullion coins is determined mostly by their precious metals content rather than by rarity and condition. Prices may change throughout the day, depending on the prices for precious metals in the world markets. Coin dealers and some banks, brokerage firms, and precious metal dealers buy and sell bullion coins. The U.S. Mint has produced gold and silver bullion coins for investment purposes since 1986 and began producing platinum bullion coins in 1997. The U.S. Mint guarantees the precious metal weight, content, and purity of the coins they produce. Collectible Coins – These coins have some historic or aesthetic value to coin collectors. Most collectible coins have a market value that exceeds their face value or their metal content. This collectible value is often called numismatic value. The coin dealers who sell collectible coins often have valuable coins graded by professional services, but grading can be subjective. The price of gold fluctuates over time. There is no guarantee that gold will increase – or even maintain – its value. The prices coin dealers, banks, brokerage firms, and precious metals dealers charge for gold products, like bullion and coins, are almost always higher than the value of the gold the products contain. So it's wise to compare prices before making a purchase. Some sellers say that the government may confiscate gold. Others say that “reportable” transactions lead to confiscation. Yet other sellers claim that modern bullion coins produced by the U.S. Mint are subject to confiscation while historic or collectible coins aren't. These claims sometimes lead people to buy historic coins at prices that exceed their value. No current federal law or Treasury Department regulation supports any of these claims. If you are buying bullion coins or collectible coins, ask for the coin's melt value – the basic intrinsic bullion value of a coin if it were melted and sold. The melt value for virtually all bullion coins and collectible coins is widely available. Consult with a reputable dealer or financial advisor you trust who has specialized knowledge. Get an independent appraisal of the specific gold product you're considering. The seller's appraisal might be inflated. Consider additional costs. You may need to buy insurance, a safe deposit box, or rent offsite storage to safeguard bullion. These costs will cut into the investment potential of bullion. Some sellers deliver bullion or bars to a secured facility rather than to a consumer. When you buy metals without taking delivery, take extra precautions to ensure that the metal exists, is of the quality described, and is properly insured. Walk away from sales pitches that minimize risk or sales representatives who claim that risk disclosures are mere formalities. Reputable sales reps are upfront about the risk of particular investments. Always get a receipt for your transaction. Refuse to “act now.” Any sales pitch that urges you to buy immediately is a signal to walk away and hold on to your money. Check out the seller by entering the company's name in a search engine online. Read about other people's experiences with the company. Try to communicate offline if possible to clarify any details. In addition, contact your state Attorney General and local consumer protection agency. This kind of research is prudent, although it isn't fool-proof: it may be too soon for someone to realize they've been defrauded or to have lodged a complaint with the authorities. 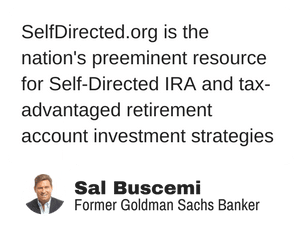 Learn how to get more out of your self-directed IRA or 401k with exclusive tips and insights that I only share with my private newsletter subscribers. What are your questions about investing in Gold or other Precious Metals? I am host of Self Directed Investor Talk, which I'm told is America's #1 podcast and for affluent self-directed investors. I'm also something of an expert in self-directed IRA's, solo 401k's and 1031 exchanges. You can find more of my writing in some cool places like TheStreet.com, Entrepreneur.com, ThinkRealty and even Forbes (that was always one of my goals!). I live in metro Atlanta, Georgia with my wife and business partner Carole Ellis(she's a real business partner... not just because she's my wife... I'd want to work with her if I wasn't married to her... and I'd want to marry her, too). I also have 4 children ranging in age from 2 to 20 (yes, you read that correctly). It's my goal to be the name everybody thinks of when they think of Self-Directed IRA's and Solo 401(k)'s.